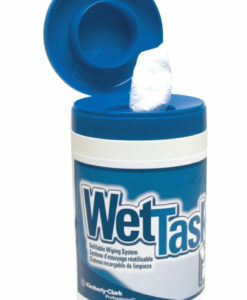 Horizon’s Wet Task Wipes are an ideal alternative to using a spray bottle or open bucket with a rag. 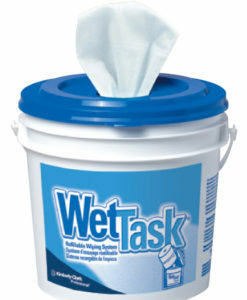 Wet Task Wipes maintain the target disinfectant concentration and provide a more uniform application than possible with a cotton rag. Count on this Wet Task Wiping System to be perfect for bleach disinfectants and sanitizers.